Working off my low carb vegetarian chili mac recipe I decided to continue going down the Mexican food path and be creative. This time I expirimented with Tacos and Spanish Rice. I have a great recipie for low carb refried beans (black soy beans) but that one will have to wait till I make my low carb vegitarian Burito Supreme! The tacos were easy. I mixed some ground beef Tofurkey with taco seasoning. You can use whatever brand you want just try to get the lowest carb one possible. Add a package of low carb tortillias and you are in business. Brands vary around the country so use your best judgement. The same goes for whatever you adorn your taco with. Next came the Spanish Rice. 1 Ground head of Cauliflower. 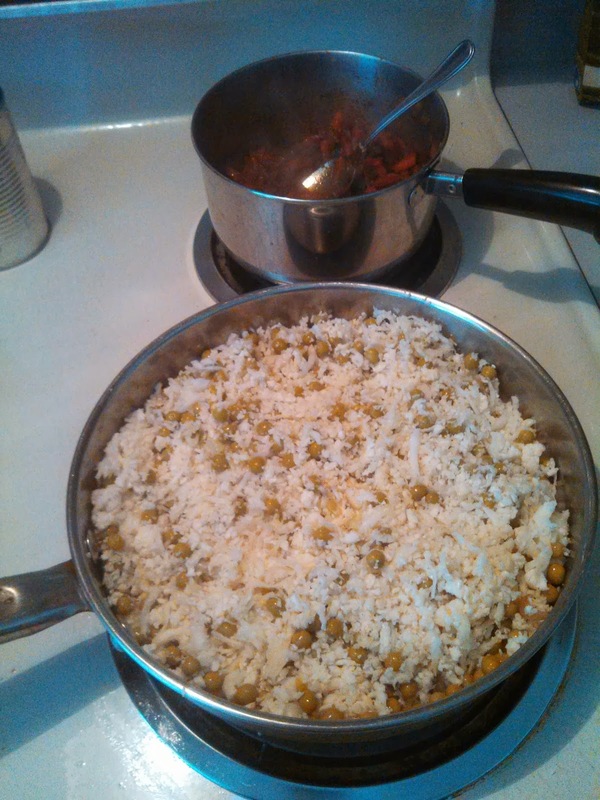 I put the olive oil, cauliflower rice and peas into a big pan and set it to the side. 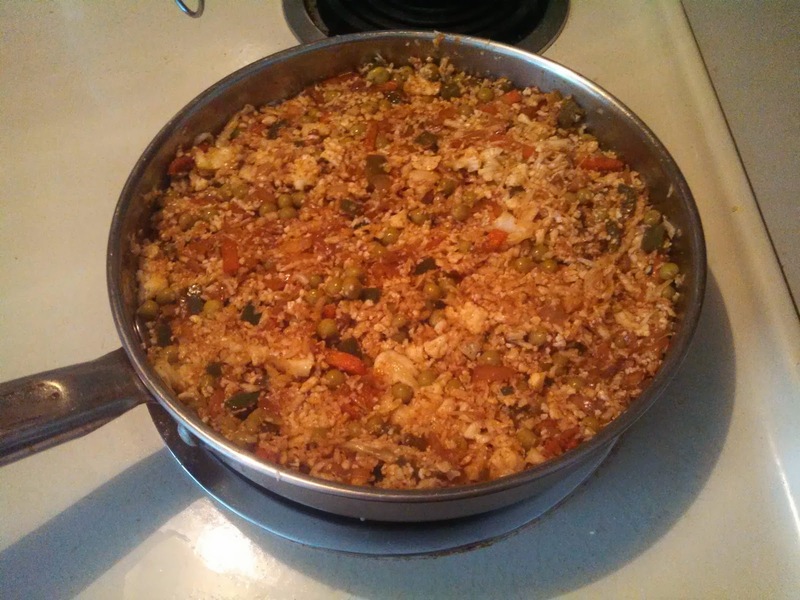 I then mixed the onion, green peppers, carrots, chili powder, some oil and a touch of water in another pan. I put the temp on medium and let the vegetables cook until they are somewhat soft. At that point you mix the two pans together and set it on low heat until everything is good and warm.